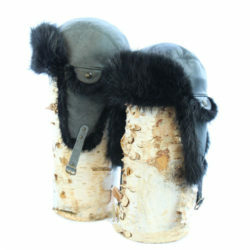 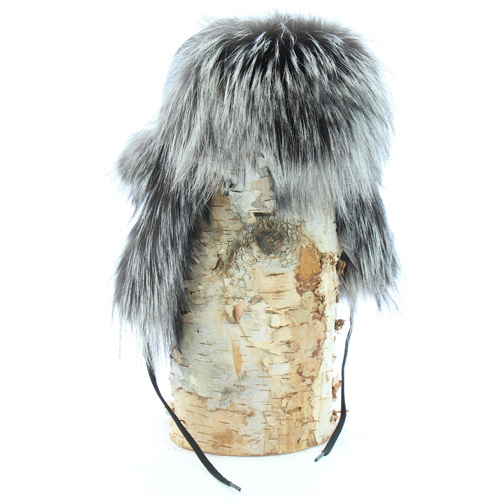 The cow skin and beaver fur boots are a great addition to the Grenier collection! 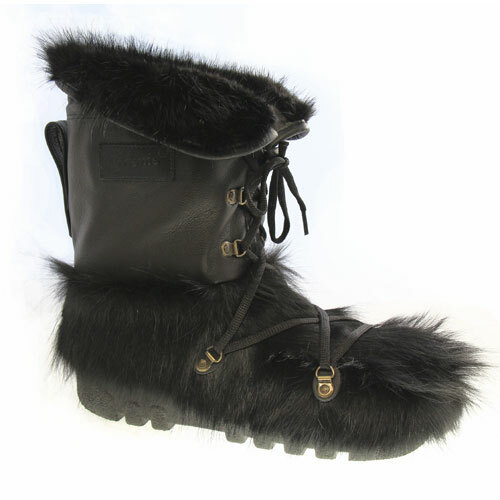 This is a beautiful mix of black cow on the feet, black beaver at the collars and leather. 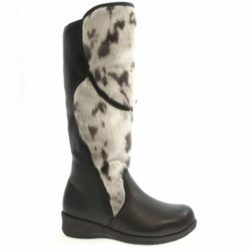 The boots are a little shorter and fit perfectly to stronger calves with their laces. 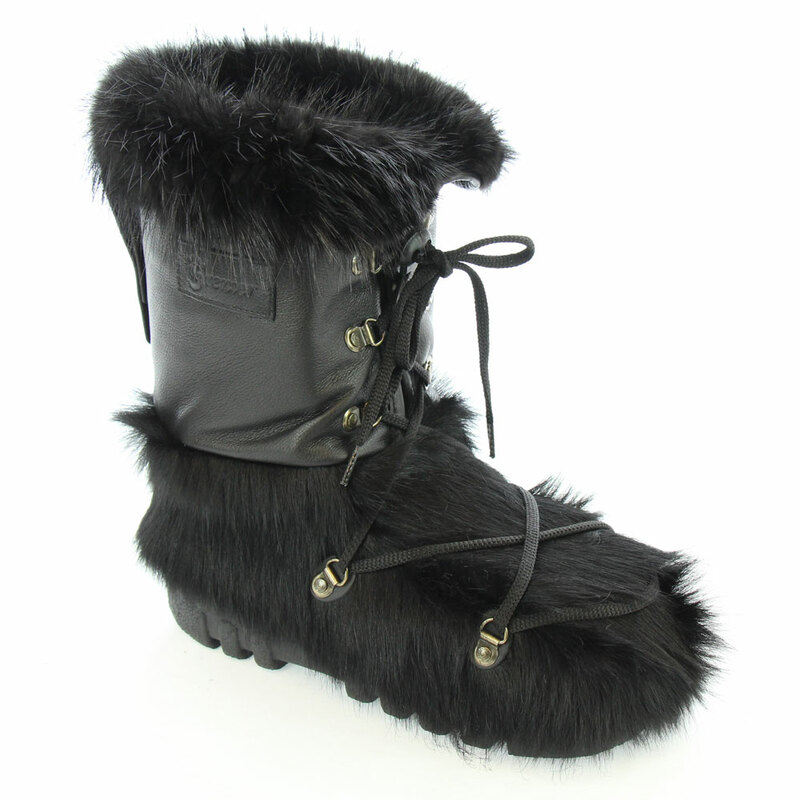 Proudly made in Canada, the Franky boots are a must to face the cold winters! 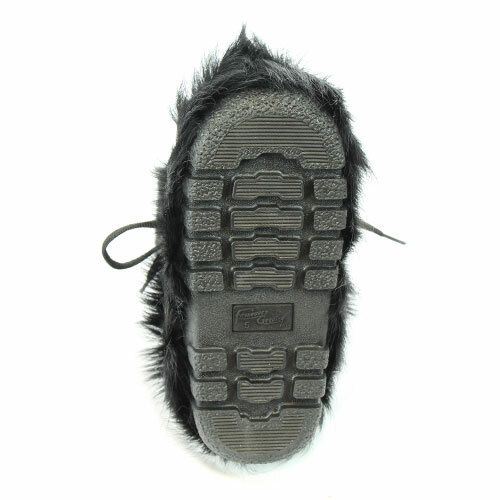 This boot has been laboratory tested and its thermal heat exceeds the maximum capacity of the device which is -60 ° C.
Trim made of biodegradable natural fur of high quality. 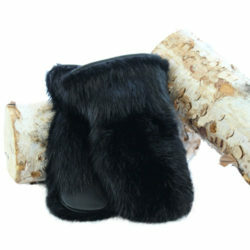 No endangered species are used. 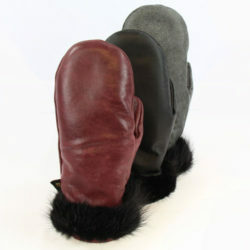 Genuine flexible leather, comfortable and durable. 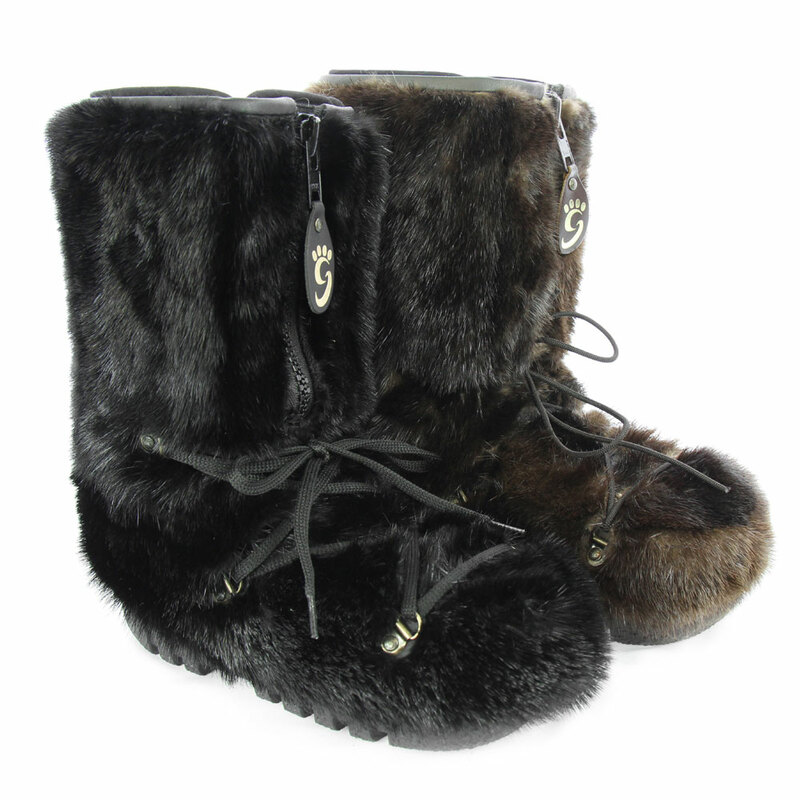 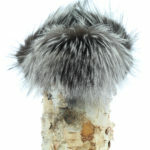 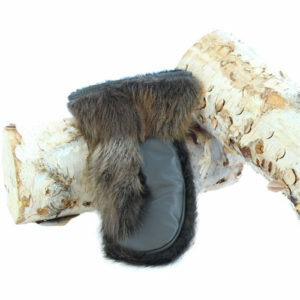 Lining is genuine sheepskin fur 6mm. 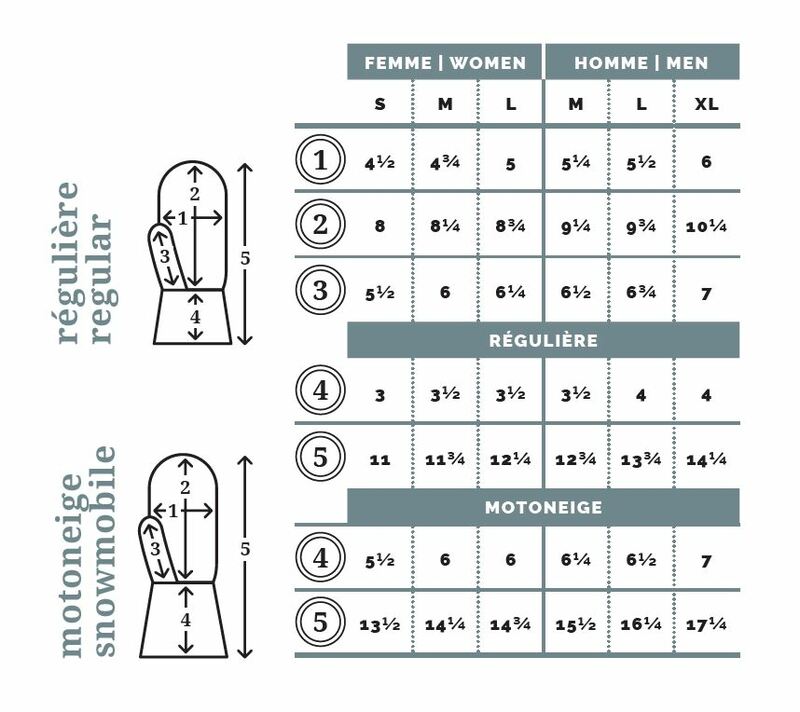 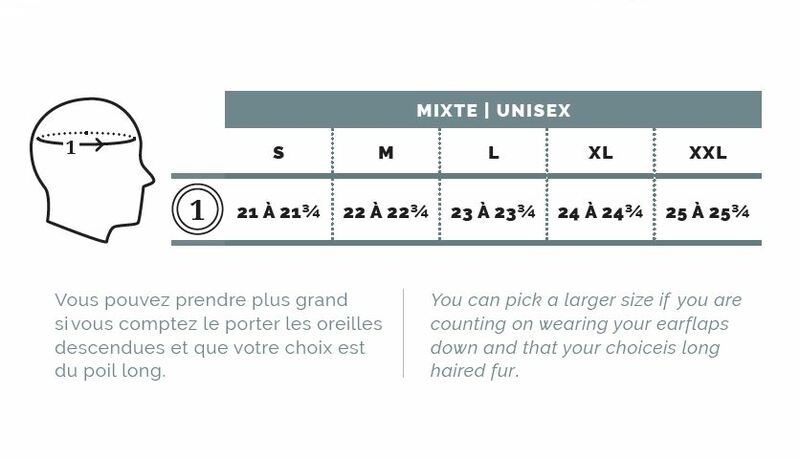 Our city boots are made with the collaboration of Saute-Mouton, a Québec business, and according to our high standards of quality and performance. The outside is made of leather and seal-skin. 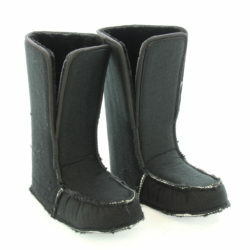 The lining is very important for the thermal value of the boot. 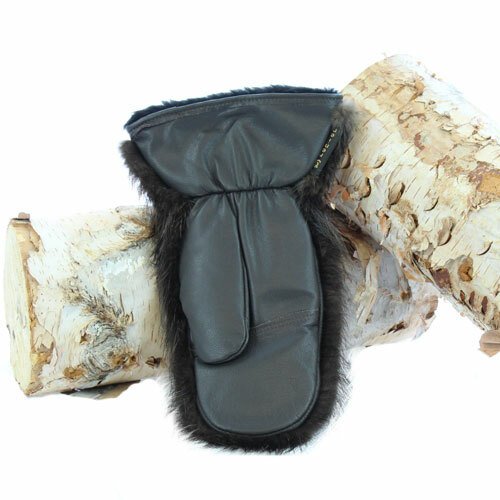 The lining of the foot is sheepskin and leg is drilex.